How does this estate planner and family law attorney help families with college financial planning and educational legacy planning? This article features an interview with Jennifer Guimond-Quigley, Owner and Attorney at Law at the Office of Jennifer Guimond-Quigley. 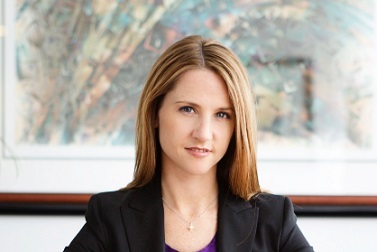 Based in Chicago, Jennifer is the owner and managing attorney at her solo practice firm where she has focused on family law, probate and estate planning and administration for the past eight years. During this time, she has won multiple awards including the Illinois Super Lawyers Rising Star Award 2016 and has earned increasing levels of coverage across leading media publications. Within her interaction with the media, she has noted that she particularly values working within her current focus areas as it allows her to work with children and growing families. 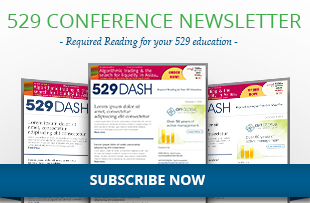 This sentiment aligns with many of those in the financial service industry that work within the college financial planning industry, and hence the natural ability for professionals in the two industries to find common area to build and create cross industry promotional, networking and knowledge sharing activities such as this article. Prior to that, she was a consultant and billing supervisor with ABM Industries, where she lead process evaluation and improvement projects to align Midwest branch offices with Sarbanes-Oxley quality control requirements. She also graduated from The John Marshall Law School with a Juris Doctor in Law in 2008, and received her Bachelors of Arts from Governors State University in Business Administration in 1999. 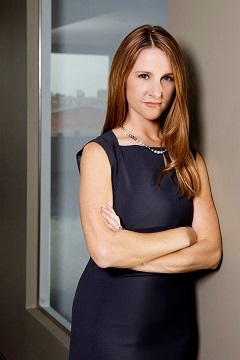 You can learn more about Jennifer and her firm at the website of http://gqlawoffice.com/. Last but not least, thank you Jennifer for your time, insight and support in working with me on the article. Please read the question and answers to learn about her perspective on estate planning and family law in relation to college financial planning, and hope that the article provides you with an opportunity to learn more from your peers. Question 1 (Paul Curley, Editor of the 529 Dash): How and why did you first get started in helping clients with Family Law and Gift and Estate Tax Planning? Answer 1 (Jennifer Guimond-Quigley, Owner and Attorney at Law): I’ve always been very passionate about helping families whether it’s with litigation or planning services. I clerked for an estate planning firm in law school and that’s when I was first exposed to the practice area and realized what an impact proper planning can have on a family. I found a passion for family law with my first job out of law school with a boutique family law firm. I was happy to take those experiences and form my firm, which allows me to focus on both areas. Question 2: What are the different ways families can use wills and trusts to leave an educational legacy? Answer 2: Families can use both revocable and irrevocable trust planning for a variety of educational uses. Families can also utilize 529 college savings plans to fund education for designated beneficiaries in conjunction with their trust plans. Question 3: Given the rise in college financial planning and student loan debt crisis in the media, have you seen an increase in demand for educational legacy planning? What trends have you seen? Answer 3: I have seen many of my clients worry about their young children having enough funds to attend college in the event both parents pass away prior to the children going to college. As a result, many of these clients are securing life insurance to fund those educational goals. Question 4: 529s allow a parent to gift 5 years of the annual contribution limit in one year ($14,000 x 5 = $70,000 as of tax year 2017; $15,000 x 5 = $75,000 as of tax year 2018) and remove the assets from the taxable estate. Does this help you with your clients, and help you work with other professionals such as financial advisors, accountants and financial aid specialists? Answer 4: Yes, this is certainly a wonderful way for clients who need to reduce their overall estate for estate tax purposes to also benefit children and grandchildren. Question 5: Any other topics or trends in Family Law and Gift and Estate Tax Planning relating to education planning that we should have asked about? Answer 5: The federal annual exclusion per donee will increase to $15,000.00 in 2018 ($30,0000.00 per year for married couples per donee) which increases the ability to contribute to irrevocable education trusts or 529 accounts without incurring federal gift tax. Editor’s Final Note: Thank you Jennfer Guimond-Quigley for your time and insight in working with me on the article, and much appreciated. Also, I would like to provide a special thank you to the readers of the article for learning from your peers, for your support and your engagement. Have the college financial planning, estate planning and educational legacy planning discussion with your clients today.